What is Air Tight Inflatable & Cold Air Inflatable? Custom Inflatables are a great way to catch attention and immediately provide a tremendous visual impact on your store, event, or product launch. These inflatables can be divided into two types - Cold Air & Air Tight Inflatables. Cold Air Inflatables need a continuous supply of air through air blower. AirTight Inflatables a.k.a Sealed Inflatables are inflatables that are filled up once and remain filled with air until deflated. They can be placed on rooftops, pavement, sidewalks, and grass or in case of some sealed inflatables, handed out to attendees. Custom inflatables maximize your advertising dollar by cultivating brand awareness and creating a lasting impression. Above All Advertising, Inc. has over 13 years of experience creating custom inflatables and will take you through the entire ordering process. It starts with the concept/design phase all the way through to delivery. As the industry leader in Inflatable Advertising, we pride ourselves in taking your logo, product, or idea and transforming it into a vital part of your marketing campaign. Our Cold Air Inflatables require a constant blower in order to keep it inflated. The inflatable must be near some sort of power source (an electric outlet or generator) so the blower can remain on and keep pumping air through the inflatable. 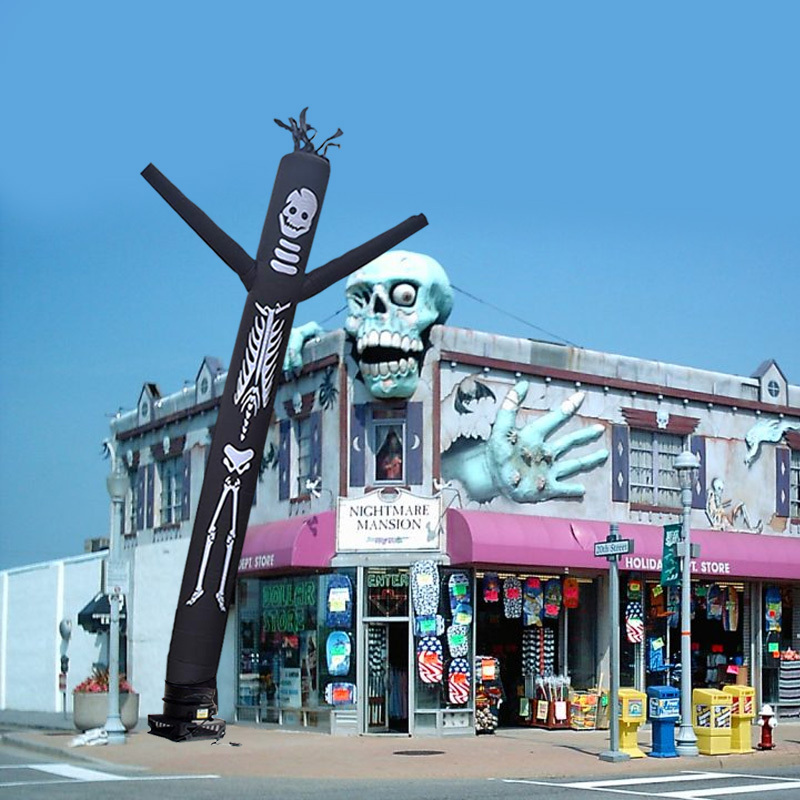 Cold Air Inflatables are durable, primarily used outdoors, can be anywhere from 6' to 50' tall, and virtually any custom shape you can imagine. Some great examples of our Cold Air Inflatables are Inflatable Arch, Spider Tents, Hot Air Balloons, and Wacky Man™. We digitally print or screen print your inflatable depending upon the size and quantity. Cold Air Inflatables are the best way to get your business noticed at grand openings, company events, sporting events, trade shows, and much more. Our Sealed Air Inflatables are similar to beach balls. These are inflated by mouth or a small fan that is used for air mattresses. Sealed inflatables are less durable, mostly used indoors, can be anywhere from 12" to 12' tall, and almost any shape you desire. Some great examples of our Sealed Inflatables are our Inflatable Furniture, and Custom Inflatable Shapes. We screen print your inflatable for production runs and hand paint samples and prototypes. Sealed Air Inflatables are the best way to get your business noticed for displays without accessible power or as promotional giveaways. 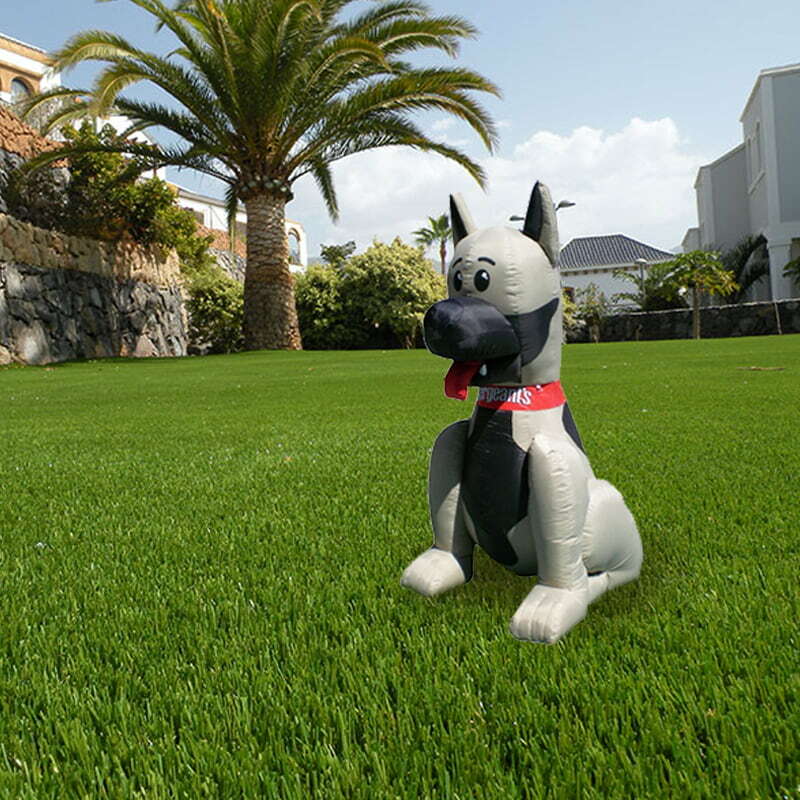 Both of our Inflatable types are completely customizable to almost any shape or design you want! In order to give you a quote, we will need a picture or image of what you want to create, approximate dimensions, and an estimate of how many pieces you will be ordering. Send this information to your sale representative to get product information and a quote today! If you want more creative Cold Air or Sealed Air Inflatable ideas, be sure to browse our online gallery at abovealladvertising.net.